On behalf of the staff at John F. Kennedy Elementary I would like to welcome you to our website. 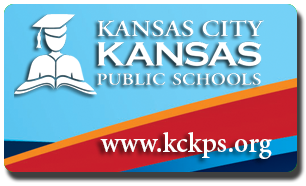 We are confident that you will find the information on this site useful and that you will learn more about what makes John F. Kennedy Elementary School a fantastic school and a special part of Kansas City Kansas Public Schools. John F. Kennedy Elementary is home to approximately 460 students from Kindergarten to fifth grade. We house twenty K-5 classrooms and also a wide variety of other classrooms that include a variety of specialized programs and supportive service classes. John F. Kennedy has a gymnasium that serves multiple purposes during the school day which includes holding physical education classes, serving as our cafeteria during our lunch program, and hosting various programs and performances on the stage when needed. 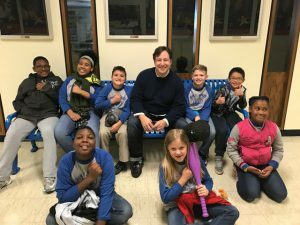 John F. Kennedy Elementary has a dedicated and experienced staff, an active PTO, and a multitude of committed families and community partners. This includes being part of the Caring for Kids network which partners our school with a variety of community resources. John F. Kennedy Elementary is committed to providing a safe, nurturing and challenging educational environment that promotes learning and achievement for all students. We recognize and celebrate the diverse learning styles, interests, talents, and cultures of our students. We strive to offer a variety of meaningful learning experiences that will inspire our students to be college ready and/or career minded individuals! Thank you for your interest in John F. Kennedy Elementary School. We look forward to meeting or visiting with you soon. In the meantime, if you have any questions about our school, please contact us at (913) 627-4950.